WHY GO: Deep lakes bounded by mountains, the New Hampshire Lakes Region is an exquisite breath of fresh air for city folk. It can be a bit touristy, but only if you stay on the larger and more crowded Lake Winnipesaukee. 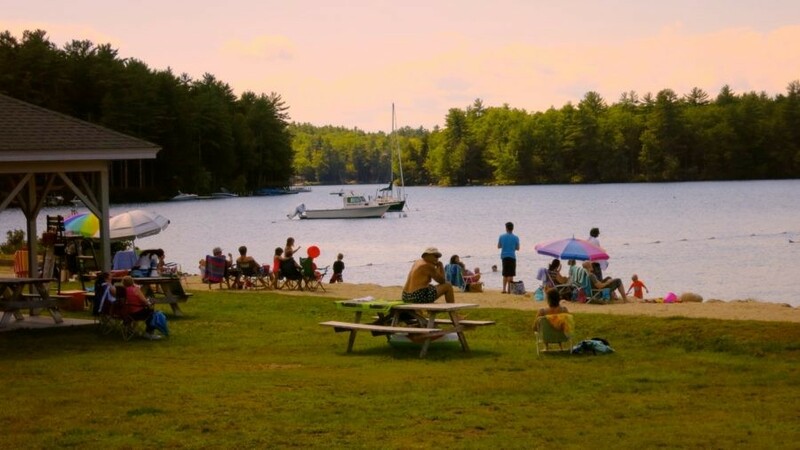 For this Getaway, you’ll find that you can access attractions in towns surrounding Winnipesaukee, while staying near the relatively tranquil Squam Lake. Squam Lake is so serene and restorative in fact, it was chosen as the location for the filming of On Golden Pond in 1980. The following are inns, restaurants and things to do that will blow you, gently, away. TOUR: Canterbury Shaker Village. About 20 miles from Lake Winnipesaukee, you’ll find this fascinating vestige of a not-quite dead yet religious way of life. These 17 buildings are all that is left of the vibrant community that once thrived here. 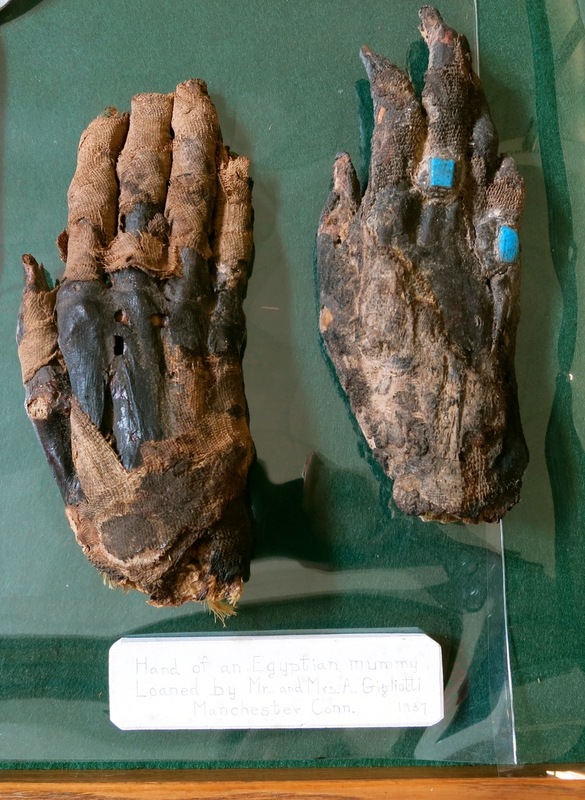 Read more about this religious sect in depth here. Plan to spend at least 3 hours, and if you can, take the 75 minute Canterbury Story Tour. Open daily mid-May-mid- October 10-5, $17 adults, $8 children. STOP: Tilton Memorial Arch, Northfield. This is just one of those very weird way-off-the-roadside attractions that has to be seen to be believed. Charles Tilton was in awe of the Arch of Titus while visiting Rome in 1881 and returned to his New Hampshire home with plans to replicate it. 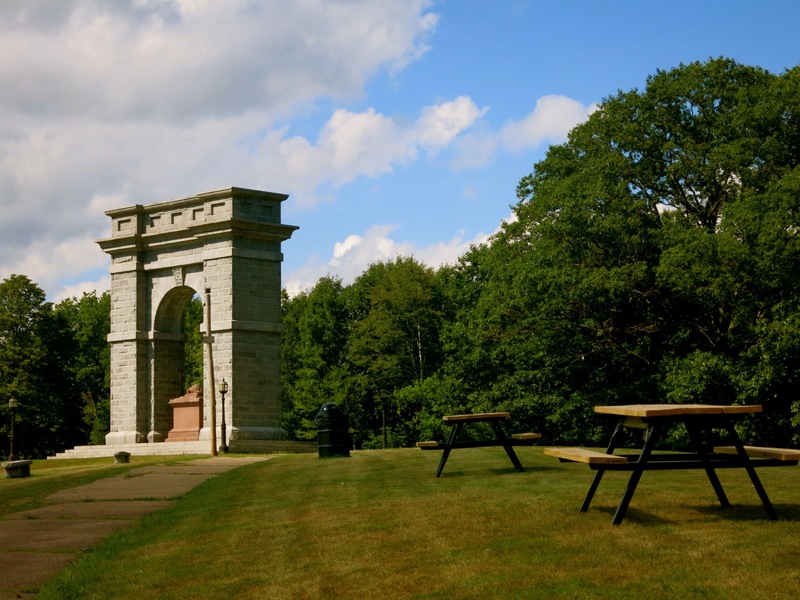 Standing 55 feet high on a hilltop above Northfield NH, the arch is surrounded by manicured lawns and picnic tables. It shares a driveway with a nursing home, but yes, you are in the right place. 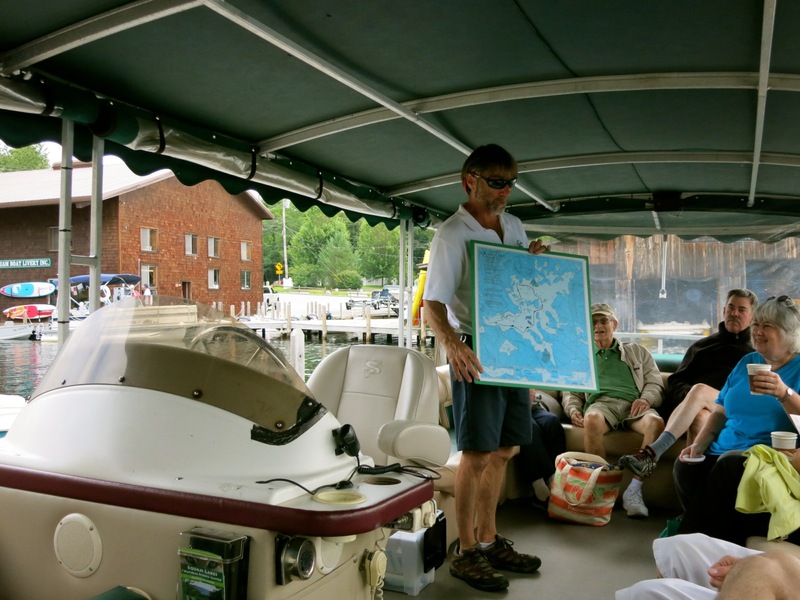 TOUR: Squam Lake Natural Science Center, Holderness. Opened in 1966 and updated to modern expectations, this exceptionally well-designed nature center keeps energetic kids and jaded adults happily engaged for hours. 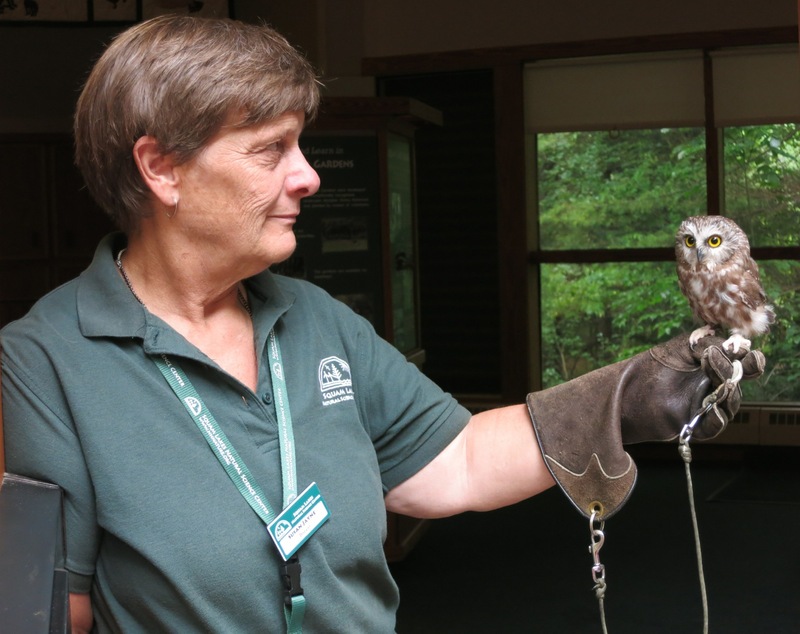 A rescue center for orphaned or injured animals native-to-New Hampshire (including a River Otter saved from the Gulf Oil spill), take your time on a ¾ mile outdoor trail to see owls, falcons, beavers, coyotes, grey and red fox, bobcats, mountain lions and other creatures happy to be alive. There’s plenty of signage to educate kids and adults, a fantastic garden and craft center at Kirkwood Gardens, and a sprawling “Predator/Pray” shoots and ladders-like playscape to rival the Children’s section of the Bronx Zoo. $17, May through Nov, daily 9:30-4:30 (last entry at 3:30). Squam was originally called Asquam – “Beautiful Water” – and its waters are nearly pure enough to drink. Only six by 6 ½ miles, the lake is tiny compared to Lake Winnipesaukee a few miles away, but is the more tranquil for sure. If you come in late spring or summer, you’ll almost always see Loon chicks “practicing” diving and swimming so they can be ready for the November Migration. You’ll also hear tales about Church Island – a boys camp in the 1870’s turned into a still-operating Church where as many as 200 people paddle and motor to services each Sunday – and the rustic Rockywold Campground at the base of Rattlesnake Mountain. Set right on the water, it makes the modest accommodations look mighty appealing. $25, Mid May – June daily 1pm, July-mid October daily 11, 1, 3. HIKE: West Rattlesnake Mountain Trail, Holderness. 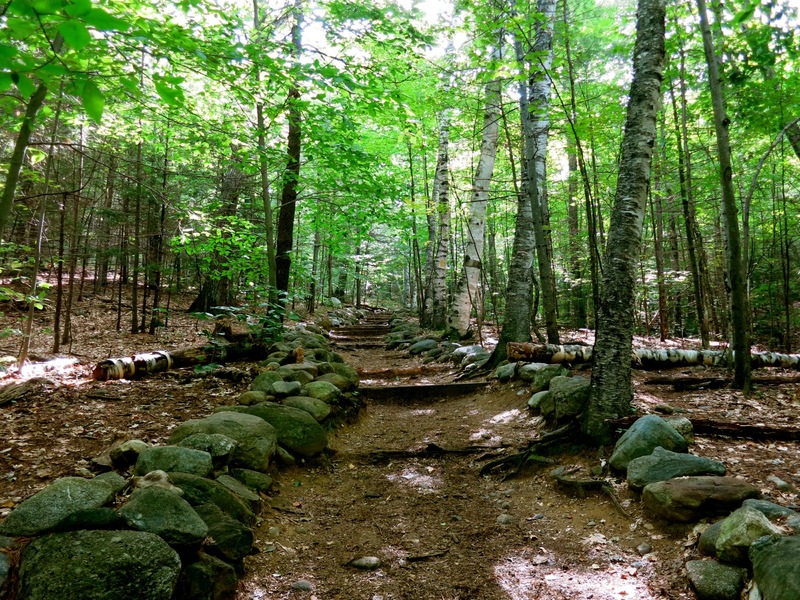 This two mile round trip hike is a must-do – for the views of Squam Lake and Winnipesaukee in the distance alone. Wear sturdy shoes or boots – you’ll be heading uphill for a mile on both stairs and a rocky, rooty path. Climb to a large flat rock. Go past it up to another set of stairs, and there you’ll find a very wide boulder outcropping for the stunning payoff view. It’s the perfect place for selfies and us-ies and to rest before the quick skip down. Find the trailhead 5.5 miles from Holderness on Rt. 113. CRUISE: M/S Mount Washington on Lake Winnipesaukee, Meredith or Weirs Beach. Like the Circle Line Tour of Manhattan, the M/S Mount Washington has been a tourist attraction for decades (actually since 1872 – this boat since 1940), and one that every new visitor must do at least once. At 230 feet with a passenger capacity of about 1,250 (550 for dinner cruises), the ship plies the 21-mile long Lake Winnipesaukee multiple times a day in season. My favorite is the sunset dinner cruise – “dinner” being a buffet with typical uninspired but decent buffet food – usually accompanied by live music. 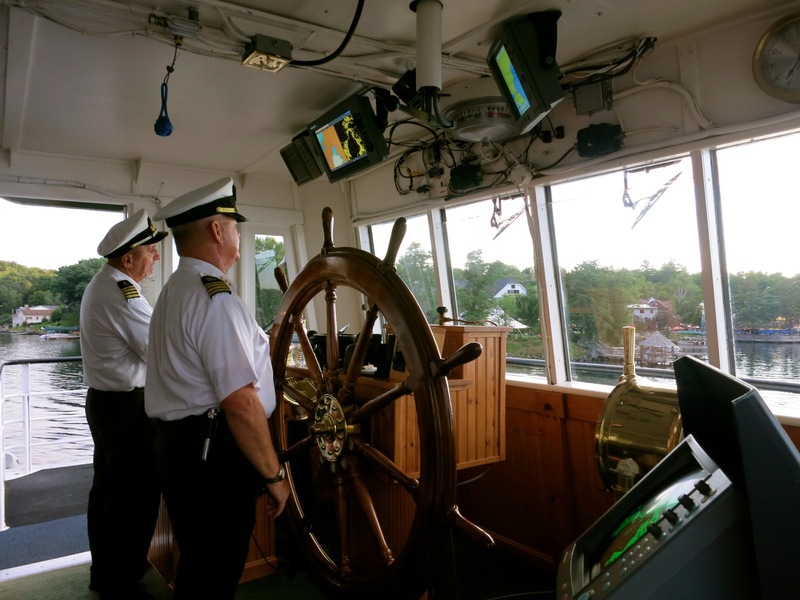 There are plenty of places to wander on several levels, both inside and out – the cash bar being one of the most popular stops; all while capable, professional Captains, like Fleet Captain Leo O’Connell and Captain Bob Duffy are hard at work in the wheelhouse. Sunsets on the lake are stunning, viewed best from the deck. You might even see lights from island homes flashing on and off, a traditional “hello” to the Captains at the wheel, who flash their own lights back. Sails mid-May – mid Oct. Day cruise, $30 for adults, $15 kids, under 5 free. Evening $48–$54. 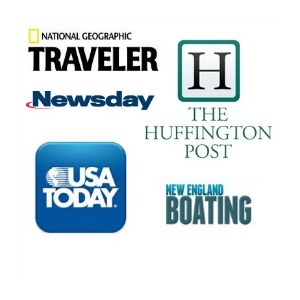 VISIT: The Loon Center, Moultonborough. Loons are birds designed by Escher; striped and polka-dotted black and white with deep red eyes, they seem more art than animal, and that seems to be part of their appeal. The original “helicopter parents,” Loons carry chicks on their backs and communicate in a complicated series of fluted cries. 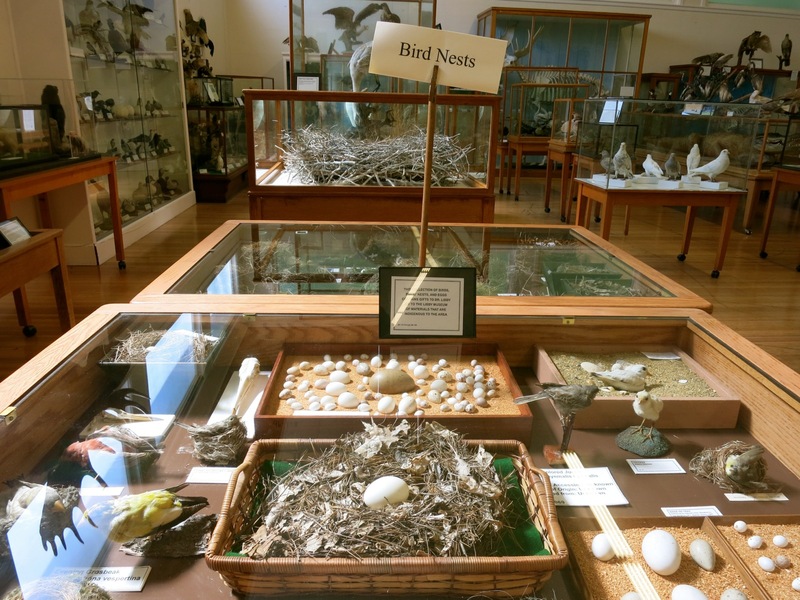 But these beautiful birds are endangered in New Hampshire, and this small Audubon affiliate Visitors Center explains what we can do to reverse that trend. Watch a well-produced video, which explains how loons feed by sight (pollution curtails their ability to find food), and must nest on shore even though their strong bodies are ultra-cumbersome on land. (The video of a mother loon attempting to haul herself out of the water is painful to watch). The loon population is declining due to increased recreation and pollution – and a proliferation of lead-based tackle. 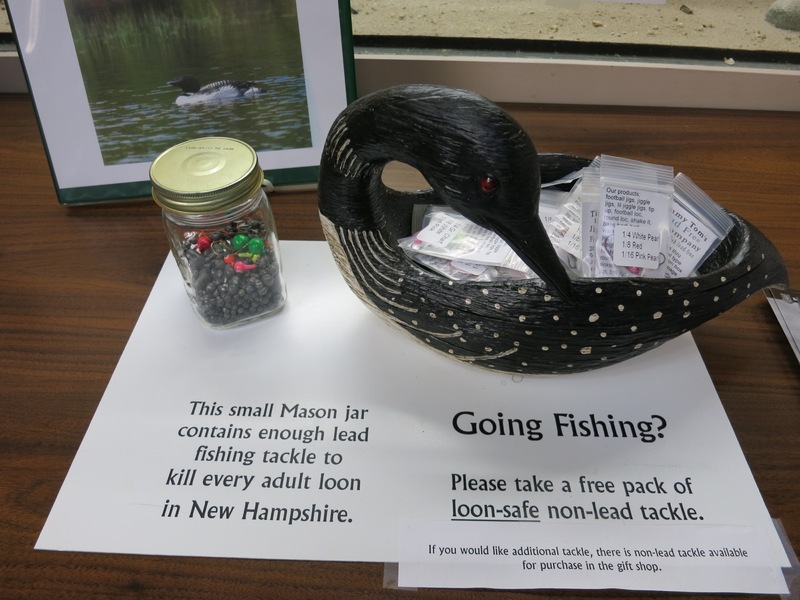 So, the Loon Center offers loon-safe non-lead fishing tackle for free. Open May 1-Jan 1st, Mon – Sat. 9-5 (Sundays May-Columbus Day). Free. Thomas G. Plant went from rags to riches in the shoe biz. He made manufactured women’s shoes, married a wealthy heiress, and by many accounts was a benevolent employer, offering childcare, parks and a gym for his employees. 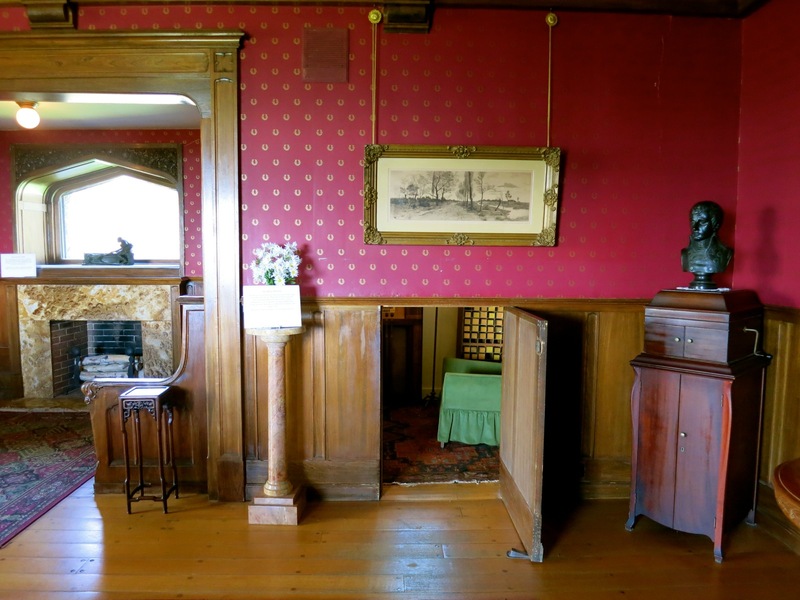 In 1910 after marrying a second time, he discovered 6,300 pristine acres in New Hampshire, and built this 16-room mountaintop Arts and Crafts style home. Plant spent lots of money, and made many investments, both good and bad. But it was his multimillion-dollar investment in Russian bonds right before the Bolshevik Revolution that sunk his own fortune, and he never quite recovered. In its early years, the Libby Museum drew thousands of visitors (among them, a Lizzie Borden, who signed the guest book) to see an 11.2 ft alligator caught in Florida (dead, of course), a real “Cootie” bug sent from the trenches of WW1, a long Chinese fingernail, lace from Napoleon’s wife’s dress, a mastodon tooth, and eek, two severed mummy’s hands. This place is worth a walk-through (though you’ll probably stay longer than you first anticipated) even on a sunny day. Open June-Labor Day 10-4, Sun. 12-4, $2, 12 and under free. VISIT: Wright Museum of WWII. Wolfeboro. What were the folks on the “Home Front” doing while our soldiers were off to war during WWII? 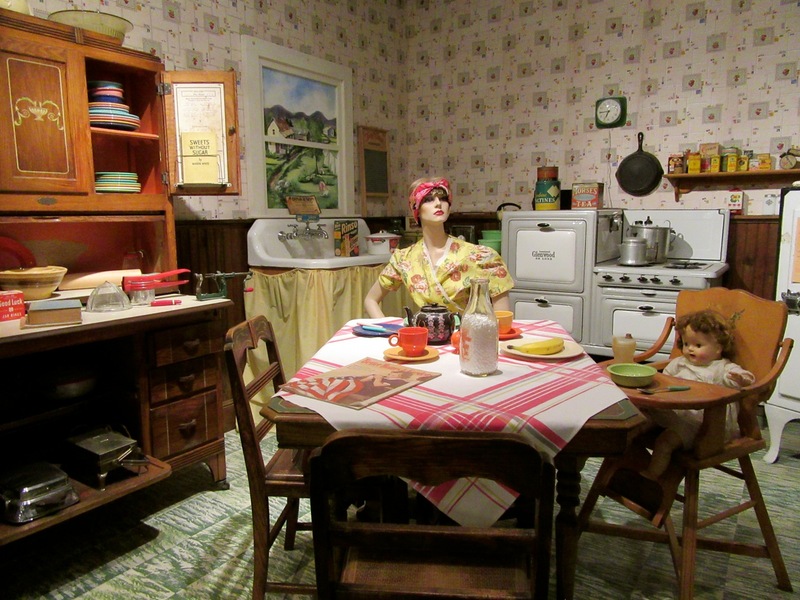 This excellent museum – jam packed with artifacts from 1939-1945 – tells the story. 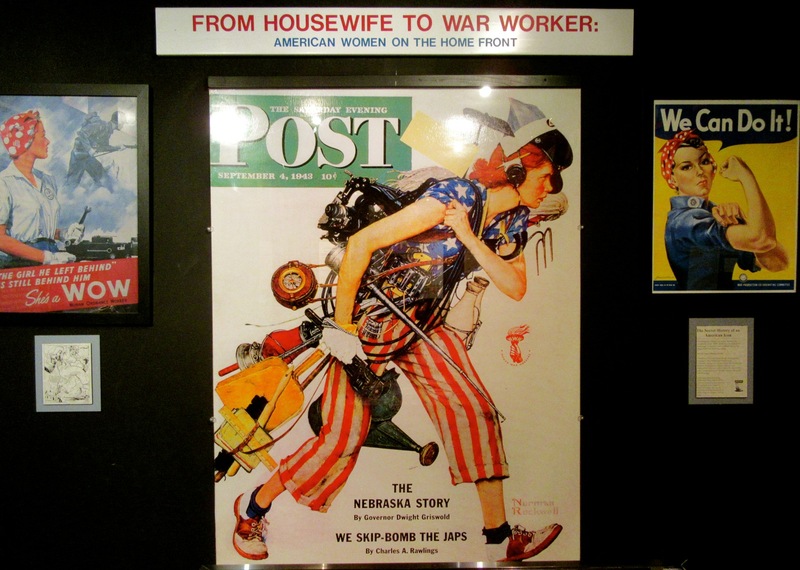 It was a time when our country rallied together “for the war effort.” Women went to work in the factories (symbolized by “Rosie the Riveter”), families grew “victory gardens” to offset the need for food that was rationed out, and people sat around radios listening to the latest of FDR’s Fireside Chats. Walk through the “Time Tunnel” that takes you through those years, and you’ll see, year by year, the costs of basic items like homes, cars, gas and milk, cultural icons and headlines of the day. Jazz and Pop Music, The Wizzard of Oz and Gone With the Wind, Roosevelt’s 4-Freedom’s speech, D-Day – all played a part in our collective memory. 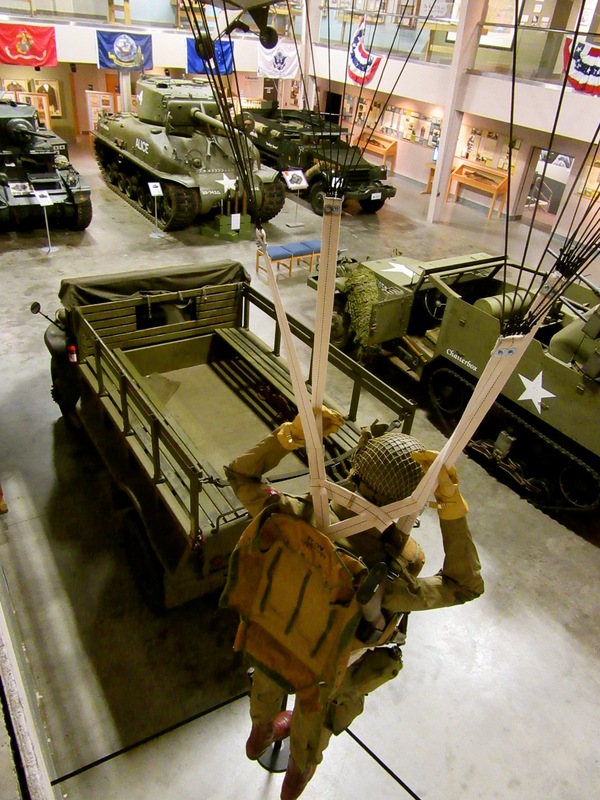 One room is devoted to tanks, jeeps and other military vehicles, lovingly restored to their original condition – a favorite of veterans of that war. Open May 1 November 15, Monday – Saturday, 10am-4pm Sunday, Noon-4pm $10. VISIT/SHOP: League of NH Craftsmen, Center Sandwich. Though there are 8 other League galleries around New Hampshire, this was the first. By the 1920’s factories had rendered small-town craftsmen – shoemakers, furniture makers, toy-makers – obsolete, but tourism in the area was booming. 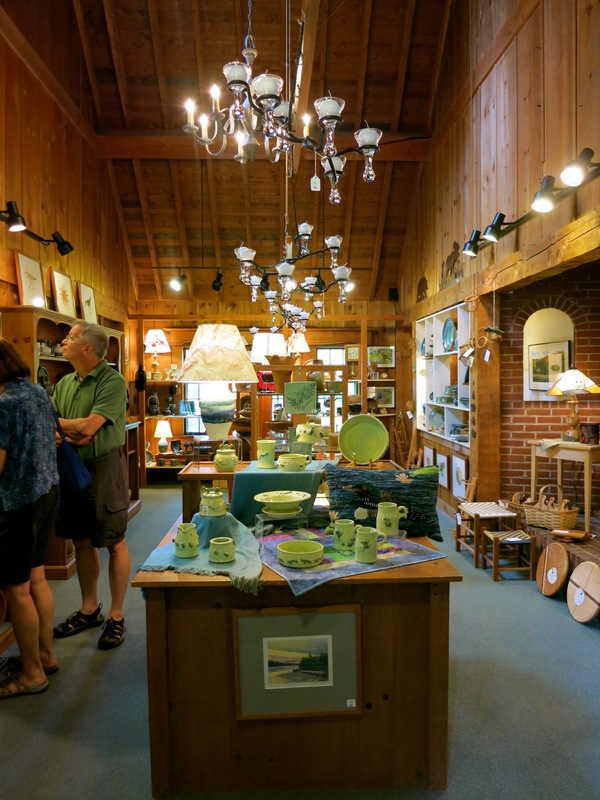 Summer residents, Jay and Mary Coolidge, realized that these out of work artisans made the one-of-a-kind baskets, toys, tables, and rugs that tourists would eagerly snap up. 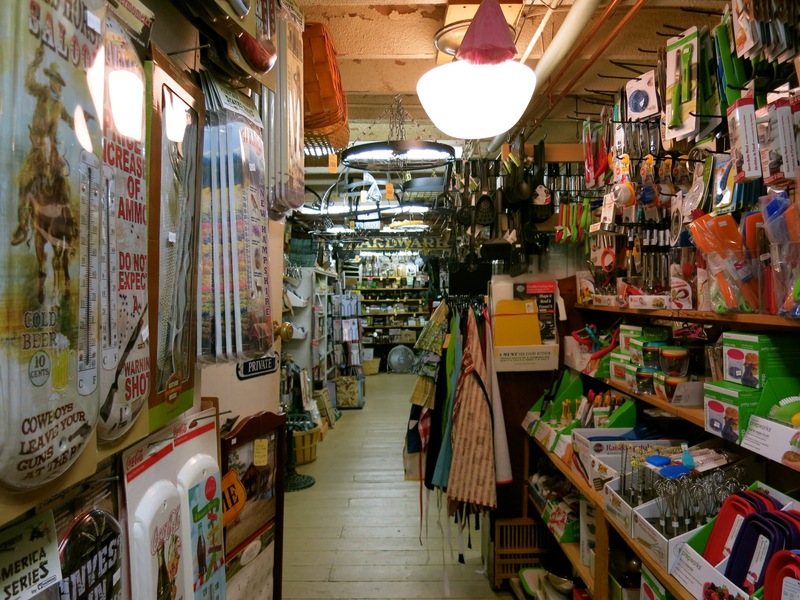 They formed the League of New Hampshire Craftsmen in 1932 and built this shop in 1936. You’ll learn a bit of down-home history while perusing the best of the current crop of 800 craft artisans in this tiny quintessential New England town. In season, the center also offers free craft demonstrations. Open mid May to Mid Oct. Mon-Sat 10-5, Sun 12-5. EAT: Inn Kitchen & Bar at the Inn at Squam Lake. 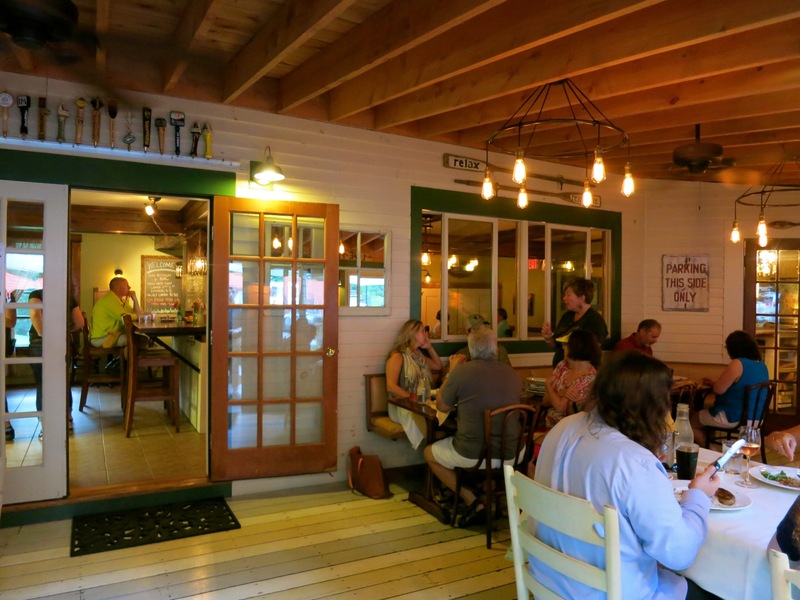 It’s quite surprising to discover a trendy, locavore tavern in back of an 1800’s farmhouse, but Inn Kitchen and Bar is one of the hottest “foodie” destination in the NH Lakes region. All servers are knowledgeable and passionate about what comes out of the kitchen. Sporting very casual t-shirts and shorts, they recite specials with intricate knowledge about sourcing, prep and ingredients. The New Hampshire-shaped cheeseboard ($20, for two) comes festooned with three pairings of cheese “and its perfect accompaniment” e.g. roasted garlic, caramelized figs. 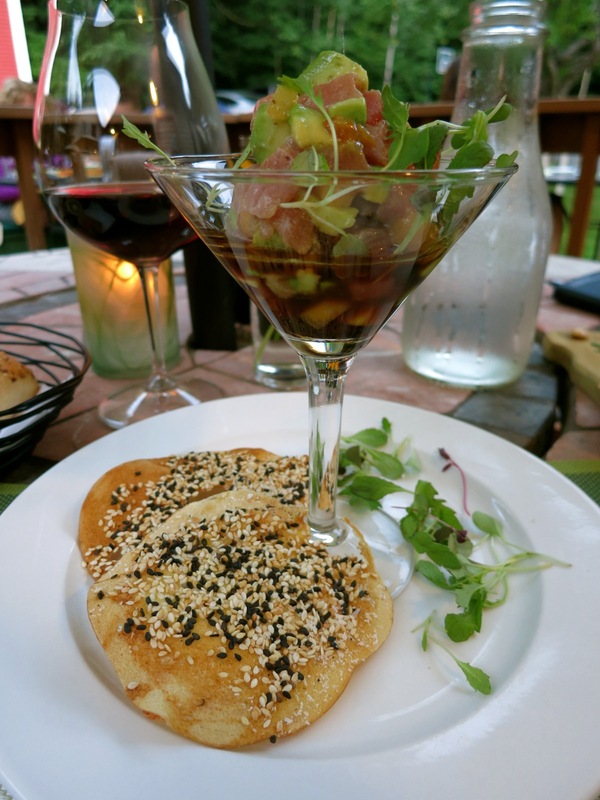 The phenomenal Tuna Tartar, arriving in a martini glass, tastes as if it were caught, filleted and assembled just minutes ago. As with most field and stream to table cuisine, the menu changes often, but I hope Inn Kitchen keeps its ultra popular Ice Cream Cookies on the list. Freshly made ice-cream squished between two large artisanal discs of delight, you’ll need plenty of willpower to leave the second half to your companions. DRINK: Squam Brewing. OK – so this is not a place. But how can I resist bringing your attention to a popular selection of beers made in the brewmaster’s parent’s garage? Yep, 35-year-old John Glidden, formerly an environmental engineer, left the “Cube Farm” to make and sell 13 types of beer out of the stereotypic entrepreneurial start-up office. You can’t visit it, but you can enjoy his No Wake Wheat, Loon Imperial Stout, Ice Harvest Porter and the eminently drinkable (this I can attest to) Asquam Amber Ale at many restaurants around New Hampshire (or buy bottles from 25 retail stores). The beautiful labels are watercolors done by Glidden’s mother in law. A true family operation. STAY: Manor on Golden Pond. Owners Brian and Mary Ellen Shields greet guests warmly as they arrive to this lovely inn atop a hill overlooking Squam Lake. 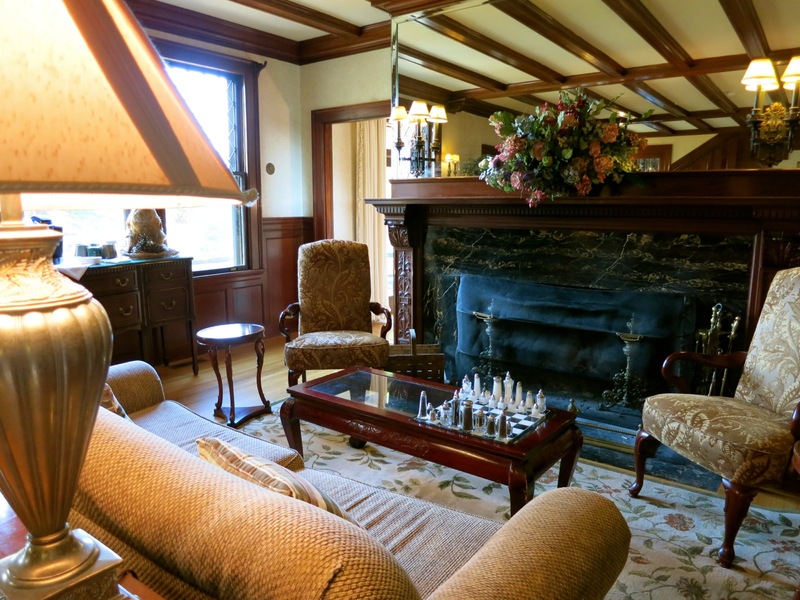 See the complete Getaway Mavens review of this wonderful inn here. 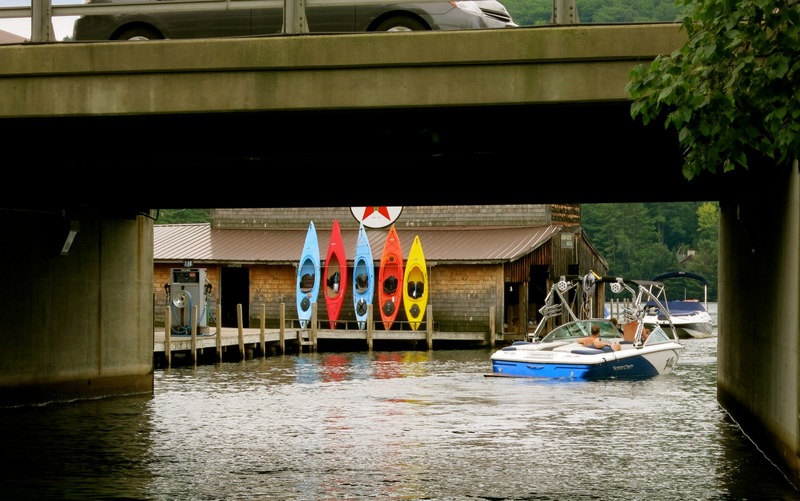 STAY: Squam Lake Inn. Down the hill from “the Manor” – you’ll find this adorable yellow 1800’s farmhouse. Rooms have been updated, and that goes for the very hipster restaurant, Inn Kitchen, right on site (see Where to Eat). Rooms from $229 includes breakfast and afternoon tea.